Brian Alves and I do the Underwater Videographer Podcast. We decided that it would be a real Christmas present for our listeners to have a Sea Hunt 50th Commemorative Special Podcast. Click here to listen or download. 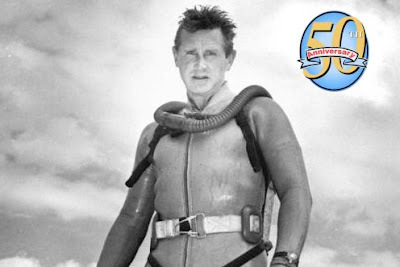 I interviewed author Eric Hanauer (who interviewed Lloyed Bridges before he passed away), Hollywood actress Susan Silo (who guest starred on an episode of Sea Hunt) and Jeff Bridges (who shares memories of his father and Sea Hunt).